***UPDATE: This is it, folks. As of right now, Coachella is the only place the Replacements are planning to play, according to Paul Westerberg's manager Darren Hill. "We agreed to Coachella last year but couldn't announce until they did," Hill said. "There are absolutely no other shows on the books at this time." Damn. As if it wasn't cold enugh in Minneapolis right now. Coachella really did want the Replacements – and it got them in the end. Minneapolis’ reunited/revamped rock legends were one of several surprises on the Coachella Music Fest lineup announced late Wednesday night. They will actually perform twice at the giant desert music bash in Indio, Calif., starting April 11 and again on April 18. 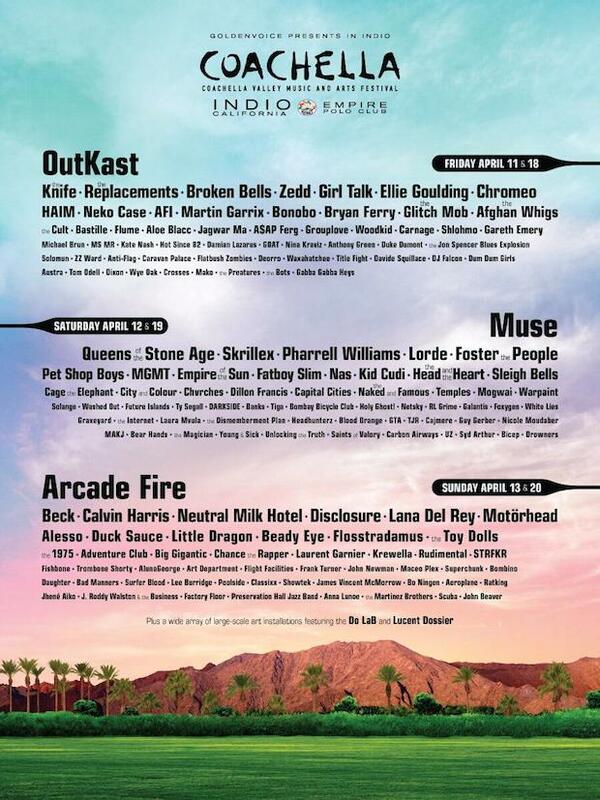 The 'Mats are set to perform the same days as Coachella’s biggest reunion coup this year, OutKast, and they will help kick off the two different three-day marathons that will also include Arcade Fire, Lorde, Muse, Beck, Queens of the Stone Age, Skrillex, the Knife, Pharrell Williams, Broken Bells, Motorhead and Neutral Milk Hotel. As was reported earlier this week, Replacements bassist Tommy Stinson also has gigs booked with Guns N’ Roses in South America up until two days before the fest. GNR’s schedule stymies the chance of a hometown warm-up gig in the days or even several weeks before Coachella. As Stinson has alluded to in past interviews, Coachella reportedly tried to woo he and frontman Paul Westerberg into playing their first Replacements reunion gig several years ago. Organizers of the grittier, punkier RiotFests got the honors instead for their events in Toronto, Chicago and Denver last August and September, where the original duo performed with replacement guys Josh Freese and David Minehan (the same lineup is presumably set for Coachella). You can bet, however, that the boys are still getting paid a relatively golden payday by Goldenvoice, the prominent company behind Coachella. Passes for either weekend of Coachella go on sale Friday at noon Minnesota time for $375. The rest of the lineup includes: Disclosure, Lana Del Rey, Nas, Bryan Ferry, Skrillex, MGMT, Haim, Girl Talk, the Afghan Whigs, Chromeo, Sleigh Bells, Neko Case, Solange, Chvrches, Ty Segall, Chance the Rapper, Darkside, Broken Bells, Waxahatchee, Foxygen, Blood Orange, the Jon Spencer Blues Explosion, A$AP Ferg, Mogwai, Dum Dum Girls, Washed Out, Holy Ghost!, Superchunk, Duck Sauce, Classixx, the Dismemberment Plan, Warpaint, Factory Floor, Shlohmo, Wye Oak, the Internet, Empire of the Sun, Jagwar Ma, Flume and Future Islands.